Friday nights at Main Club, teen participate in active and interesting activities with free food in a safe and fun environment. Offered at Main Club. A job readiness program that stresses mock interviews, resumè building, dress for success workshops, internship opportunities, and tips on preparing for the workforce. Offered to High School students at Verdugo Hills High School and Main Club. Unpaid internship program intended to assist Boys & Girls Club staff with programming and mentoring. Juniors and Seniors only. Offered at Main Club. High school leadership program that looks to improve leadership and character skills as well as a focus on community development. Offered at Main Club. Academic readiness program targeting Middle School students to create and implement a high school and collegiate plan of success. Offered at Middle School sites and Main Club. Teen LEAD Academy is a 6 session summer program for Boys & Girls Club teens hosted at Woodbury University that covers a variety of topics on leadership. Applications are now open. Teen LEAD starts June 19th. 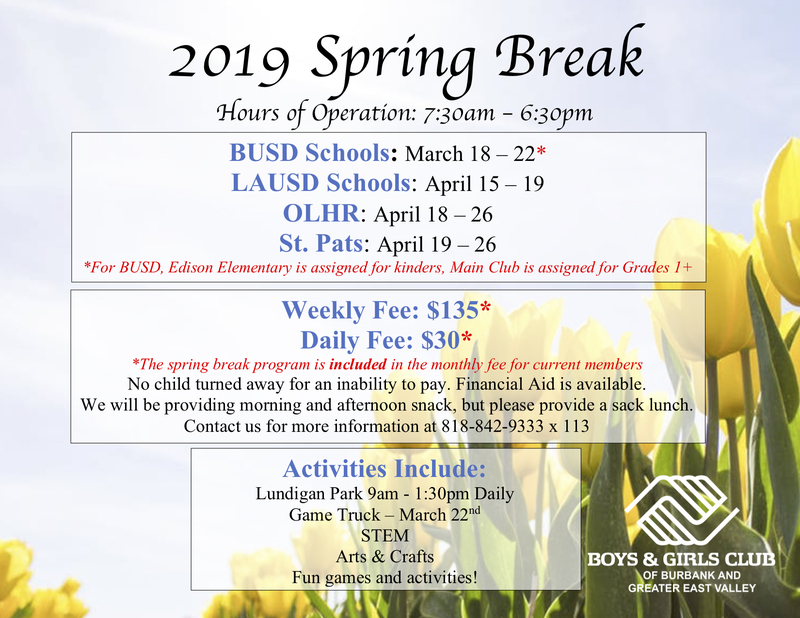 Please contact BrittanyVaughan@BGCBurbank.org for more information. Teens can apply by clicking here.